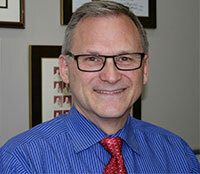 Dr. Sims is a native of Dearborn Michigan and is a 1984 graduate of the University of Detroit School of Dentistry. Prior to dental school, Dr. Sims graduated from a dental technology program at Ferris State University earning an associate of arts degree in dental technology. This background in the dental laboratory industry has enabled him to understand and develop exceptional relationships with the technicians that fabricate the dental restorations created for our patients. This laboratory technology influence also allows Dr.Sims a unique perspective on dentistry that most of his colleagues do not have. Continuing education is critical in maintaining clinical excellence according to Dr. Sims. This passion for education has earned him a Fellowship in the Academy of General Dentistry. He has studied with the elite clinicians in dentistry; Drs. Pete Dawson, John Kois, Frank Spear, Ronald Goldstein, David Garber, Maurice Salama, Mike Schuster, Bill Dorfman, Gerard Chiche, Jack Turbyfill, and Bill Dickerson to name a few. Dr.Sims also seeks out exquisite dental technicians like Terry Fohey, Pinhas Adar, Etsuo Morohoshi, and Martin Withlake. Meet our hygienist Bekah. She brings more than a decade of experience to the practice. She is very passionate about all things dentistry. 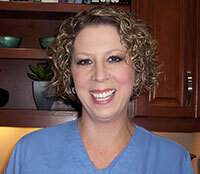 Bekah will work with you to better your oral health as well as enhance your overall health. She is well versed in everything hygiene including; routine cleanings, periodontal care, antibiotic placement, whitening, and sealants. You will feel at ease and well taken care of with her warm and cheerful chair-side manner. Her gentle yet thorough hands will take care of all your hygiene needs. 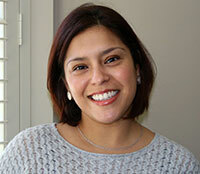 Angelica is Dr. Sims lead assistant and right hand while in the operatory. A graduate of Dr. Ericson’s amazing Dental Institute back in 2006 she is in her 9th year working as a restorative and cosmetic dental assistant. Recently she attended her fourth Hinman Dental Convention where she continues to learn about the latest procedures and dental techniques. Raised in Smyrna, Georgia she is full of southern hospitality and eager to make all of Dr. Sim’s patients comfortable during their procedures. Originally from Miami, Florida, Sindy is the first smiling face you’ll encounter when you walk in. 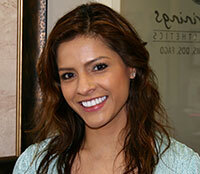 With over 16 years of experience, she has been working closely with dentist and their patients since 1998. With positions in both private and managed dental care offices, Sindy is knowledgeable in multi-specialty procedures, insurance benefits, and financial options. Sindy enjoys listening to our patient’s concerns and is happy to review the doctors’ recommendations so everyone can make comfortable and long-term informed decisions.